Chef's Knife - 10" - I Can't Eat What? 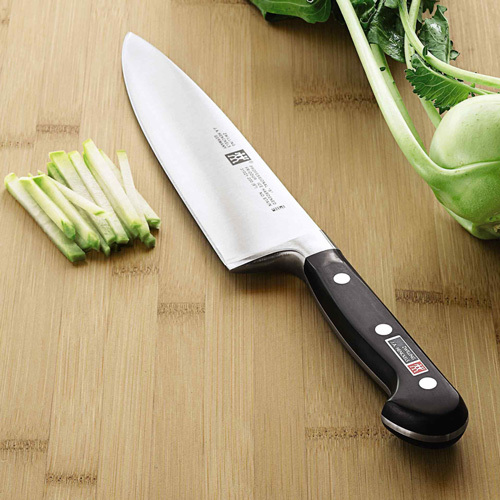 Chef’s Knives – Sturdy, heavy knife with broad, strong blade and fine cutting edge. 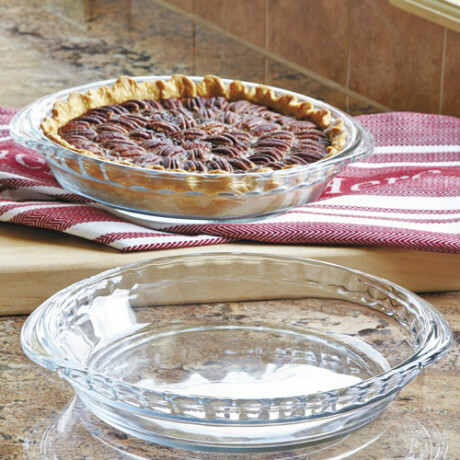 The all-around for professionals and hobby chefs cleans vegetables, minces herbs and chops anything. 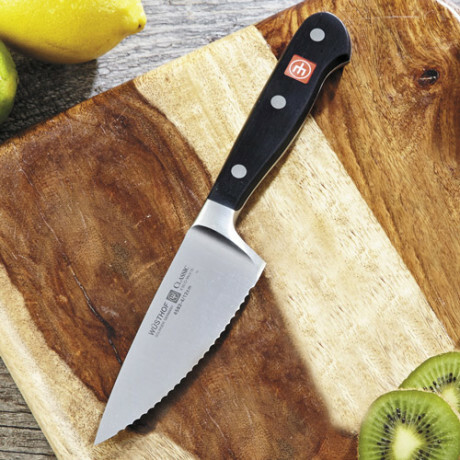 Also known as the cook’s knife, it’s the workhorse of all kitchen knives. Knife handle is rocked up and down with one hand while the fingers of the other hand rests lightly on the back of the blade. Designed for professional chefs with a forged blade of high-carbon stainless steel that resists stains, rust and corrosion. 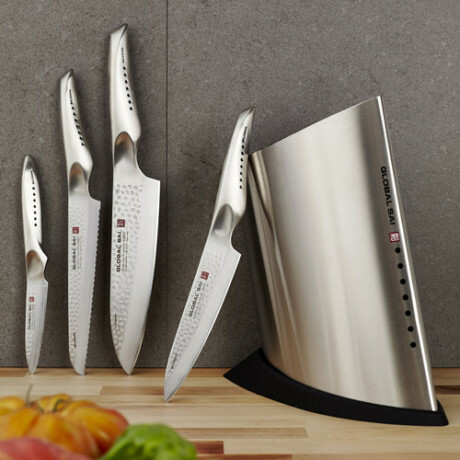 Zwilling JA Henckels products, hand-crafted since 1731, set the world standard for appeal, function and style. The trustworthy quality and tradition of these riveted knives is easily visible by the full tang and the full length of solid steel. Classical styling and state-of-the-art technology in blade manufacturing combine to form the TWIN Pro-S Series. Product Features SIGMAFORGE? one piece construction gives perfect geometry, high precision and improved stability of the blade and steel structure as well as improved cutting edge retention Laser controlled edge is sharper and stays sharper longer. Has a more consistent blade angle Friodur? ice hardening offers maximum no-stain properties and more blade strength along with improved resistance to corrosion and pitting Super bolster provides weight, insures safety and adds balance Fully visible tang construction gives proper balance and great strength High carbon no-stain steel ensures no staining or rusting Hand honed for a long lasting edge Precision honed is sharper and stays sharper longer Triple riveted Novodur? Be the first to review “Chef’s Knife – 10″” Click here to cancel reply.